The decision to keep the repo rate unchanged at 6.50 per cent was as predicted by 64 of 70 analysts in a Reuters poll. The central bank also retained its 'calibrated tightening' stance as expected. MUMBAI: The Reserve Bank of India (RBI), as expected, has left the interest rates unchanged. Surprisingly, it has also left the policy stance unchanged at ‘calibrated tightening’, despite actual inflation coming lower than projections, and estimates for the second half of the current fiscal (H2FY19) and first half of the next fiscal (H1FY20) revised lower. However, the RBI indicated flexibility in changing its stance if the data points indicate a need for the same. After the three-day Monetary Policy Committee (MPC) meeting in which six members voted unanimously to keep rates unchanged and one member voted for change in policy stance to ‘neutral’, RBI Governor Urjit Patel said the MPC retained its stance of ‘calibrated tightening’ to buy time to pause, reflect and undertake future policy action with more robust inflation signals. “If the upside risks we have flagged do not materialise, or are muted in their impact as reflected in the incoming data, there is a possibility of space opening up for commensurate policy action by the MPC,” Patel said. 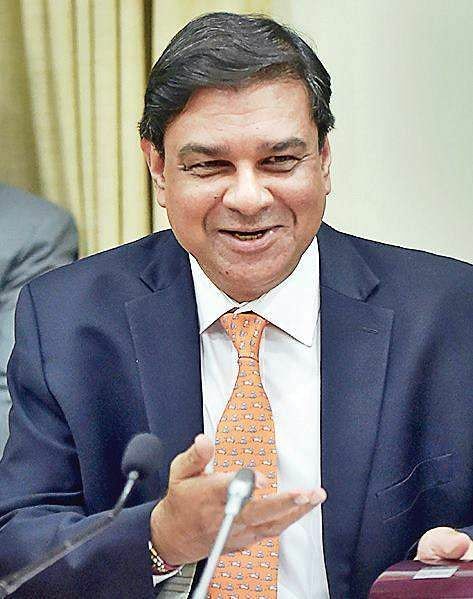 RBI lowered its inflation targets for H2FY19 to 2.7-3.2 per cent and 3.8-4.2 per cent for H1FY20 , “with risks tilted to the upside”. In the last meet, it had projected 4 per cent inflation in Q2FY19, 3.9-4.5 per cent in H2FY19 and 4.8 per cent in H1FY20. While actual numbers for Q2FY19 was marginally lower at 3.9 per cent, October numbers came in at a lower number of 3.3 per cent. “The RBI decision to keep rates on hold was more in consonance with market expectations, but the policy guidance was a pleasant surprise. The significant downward revision in inflation projections and assurance of continued durable liquidity was most reassuring to market participants in terms of a stable and predictable interest rate structure,” said Rajnish Kumar, chairman, SBI. Overall, the expectation is that RBI will hold the rates steady for now as there is no scope for any more hikes, and perhaps change the policy stance and growth forecast in the next policy. RBI, as of now, has retained its growth forecast for the current fiscal at 7.4 per cent, but “with risks to the downside”. “...it was heartening to note that it was ready to ease monetary policy to support the economy. The sharp reduction in the inflation forecast, accompanied by planned SLR (Statutory Liquidity Ratio) cuts, should result in lower costs for borrowers,” said Zarin Daruwala, CEO, India, Standard Chartered Bank. Repo rate was kept at 6.5 per cent. RBI left CRR unchanged as Patel said it is outside the ambit of MPC and that there are many other instruments to provide liquidity. But to align the SLR to the liquidity coverage ratio for banks, it has proposed to reduce it by 25 bps every calendar quarter until the SLR reaches 18 per cent from 19.5 per cent at present. After recommendations of the earlier Y H Malegam Committee and a later committee headed by R Gandhi, RBI has decided to implement the structure of Board of Management (BOM) for the urban co-operative banks (UCB). Urban co-operative banks come under the dual control of the respective state government and the RBI – the BOM will work under the control of RBI. UCBs have to make a provision in their bye laws for setting up of a BOM. Only banks that make such a provision would be allowed to expand their business and open new branches, RBI will issue final guidelines by the end of December. Credit to MSME has been one of the raging issues ever since the sector came under stress following twin blows of demonetisation and GST. Despite being an important part of the economy and a large employment generator, the sector has been crying for credit. While RBI has taken a few steps like trade receivable discounting system, banks co-originating loans for the sector with NBFCs, regulatory forbearance on prudential norms, access to credit remains difficult. “Increasing stress in the sector is matter of concern. A comprehensive approach needs to be adopted to understand MSMEs’ problems and the challenges faced by them for their holistic development,” RBI said. RBI feels that with the digital mode for financial transactions gaining traction in the country, there is an emerging need for a dedicated, cost-free and expeditious grievance redressal mechanism for strengthening consumer confidence in this channel. The scheme for digital transactions will be notified by the end of January 2019. It has issued instructions on limiting customer liability with respect to unauthorised electronic transactions involving banks and credit card-issuing NBFCs. It will bring all customers up to the same level with regards to e-transactions made by them and extend the benefit of limiting customer liability for unauthorised e-transactions.